What a coincidence it is that I have to bring tribute to our late Minister of Public Services and Administration, Collins Chabane (and former Minister in The Presidency: Performance, Monitoring and Evaluation), in the same issue that we’re featuring the current Minister in The Presidency for Planning, Monitoring and Evaluation, Jeff Radebe, on the cover of our March issue. Chabane, who tragically died on Sunday 15 March, 2015 in a car crash on the N1 between Polokwane and Mokopane, joined the ANC at the age of 17 and has been a member of the ruling party for nearly 40 years. He was elected as an MP in South Africa's first democratic government and three years later, he was appointed as an MEC in Limpopo. In 2009 he joined the Presidency and established the Ministry of Performance Monitoring and Evaluation. A man of many talents, Chabane, who comes from a musical background, was also a recording artist, and studied music theory while imprisoned on Robben Island and later co-founded Movement, a mbira-based band which recorded two albums. Praised at his funeral on Human Rights Day for especially his sense of humour and love for music, the ANC stalwart, who died together with his two bodyguards, Sergeants Lesiba Sekele and Lawrence Lentsoane, was laid to rest in his birthplace, Xikundu, Limpopo. 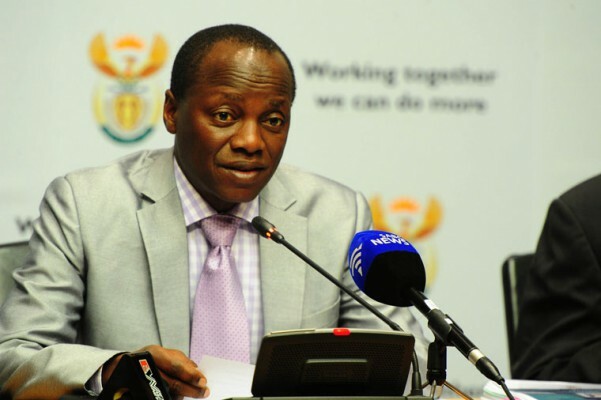 In his eulogy, President Jacob Zuma described Chabane as a hard-working man with a sharp, incisive mind – someone who displayed amazing maturity and determination. "He is laid to rest on Human Rights Day, which on its own symbolises his unwavering commitment to the entrenchment of the human rights culture in our country," Zuma said. 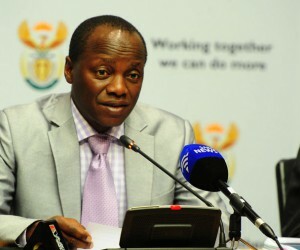 Chabane, who led the inter-ministerial committee on state funerals, was also praised by the President for the manner in which he arranged the funeral of the late president Nelson Mandela and commended him for capably and effortlessly pulling out all stops to give Madiba a befitting send-off. Paying tribute to Chabane’s role in seeking peace on the African continent, Deputy President Cyril Ramaphosa said one of the less known aspects of Chabane's work was that of promoting peace and security on the African continent. He did extensive work in many countries in Africa, but especially in South Sudan. Ramaphosa said at Chabane's memorial service in Pretoria his colleague was a down-to-earth man who always treated everyone with the same dignity and respect, whether they were a manual labourer or gardener at the Union Buildings or a fellow minister. "Although he had progressed to the highest levels of the ruling party and of government, he always retained this humility. As a result, he was a good listener, and was always open to hearing others' points of view." The BBQ team’s hearts go out to Chabane’s family, close friends and colleagues as they mourn his tragic death. South Africa has lost a humble leader – his determination, passion and diplomacy will be sorely missed by those who he walked among.